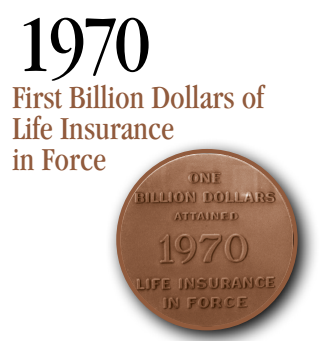 In 1970, Midland National Life Insurance attained One Billion Dollars of Life Insurance in force. They issued this medallion that you can see above. Just a little over twenty years later, that number had grown. In 1992, Midland National issued a bronze medallion commemorating over $50 billion of life insurance in force at the company. In 1908, the Dakota Mutual Life Insurance Company (which would eventually be renamed to Midland National Life Insurance Company) saw the first death claim filed.